﻿ Paint Creek State Park - Ohio. Find It Here. Located amid the breathtaking scenery of the Paint Creek Valley in southwest Ohio, the 5,652-acre Paint Creek State Park features a 1,148 acre lake with fine fishing, boating and swimming opportunities. 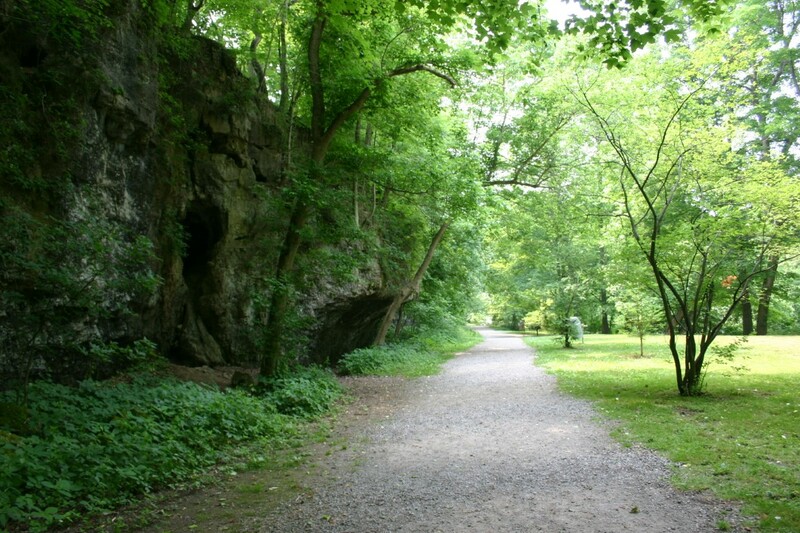 Meandering trails invite outdoor enthusiasts to explore and enjoy the rolling hills and streams of this scenic area. Outdoor recreation at the park includes a Disc Golf Course, miniature golf course, nature center featuring displays of native wildlife and fish, rock climbing along the spillway, and winter recreation. The Camp Store and Marina are open seasonally. Hours vary widely in the spring and fall.